Nokia set to join mobile phone companies' united apps project? | What Hi-Fi? 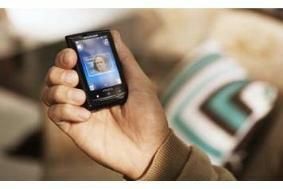 Nokia set to join mobile phone companies' united apps project? The Wholesale Applications Community (see below) has been founded to allow applications to be written across many mobile phone platforms, and is seen as a challenge to Apple's very successful Apps Store. According to KT Senior Vice President Pyo Hyun-myung, Nokia was not initially named as a founding member of WAC, but the company will be taking internal steps to join the group. Nokia is yet to confirm its involvement, but were it to take place it would mean the world's three biggest phone manufacturers were allied in the WAC. Nokia has already announced plans to share platforms with Intel. POSTED 15.02.10 Twenty-four of the world's largest mobile phone companies, including operators and handset manufacturers, have joined forces to work on mobile phone apps. No doubt in an effort to challenge the dominance of Apple's App Store, the Wholesale Applications Community will make it easier for developers to write applications that will be compatible with as many different phones as possible. Phone makers LG, Samsung and Sony Ericsson are all supporting the group, along with Vodafone, US company Verizon Wireless, Japan's NTT DoCoMo and China Mobile. The group will have access to over 3 billion customers, and a huge number of different technologies and handsets. Software developers will be able to write applications that will run on a variety of phones, and while there won't be a joint apps store, applications can be submitted to be carried across different stores. As it stands, an application written for Apple's iPhone, for example, will not run on any other phones. Apple, Nokia, Blackberry and Google all have their own dedicated online stores for applications. The new Wholesale Applications Community was announced at the annual Mobile World Congress in Barcelona. However, Google believes the plan could be doomed to failure. Andy Rubin, Google's vice-president of engineering, says he's sceptical about the potential success of the mobile phone operators in creating their own application platform. Rubin says Google will continue to produce its own-branded mobile phones.